Looking for a spot for a work lunch between Duluth and Marietta always seems to be a challenge – there just isn’t much “in the middle”. 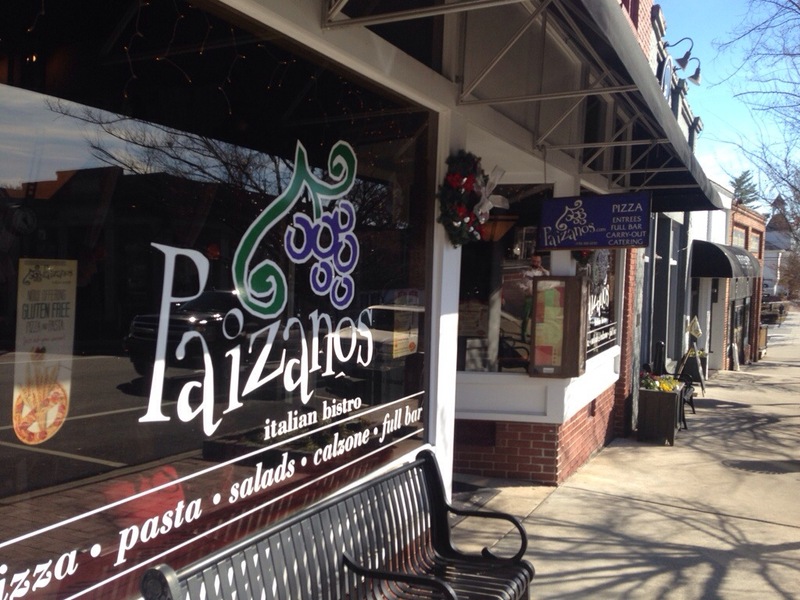 As I was given the choice of location, I chose some place that I had not been, and we went to Paizano’s in downtown Norcross. The city of Norcross has undergone something of a resurgence, with several restaurant having opened over the last decade. Paizano’s was one of the early arrivals. When the size of our lunch party changed from 5 to 4, I went to update it on OpenTable and all I succeeded in doing was moving the reservation to 11:30 from 12:00. Oops. 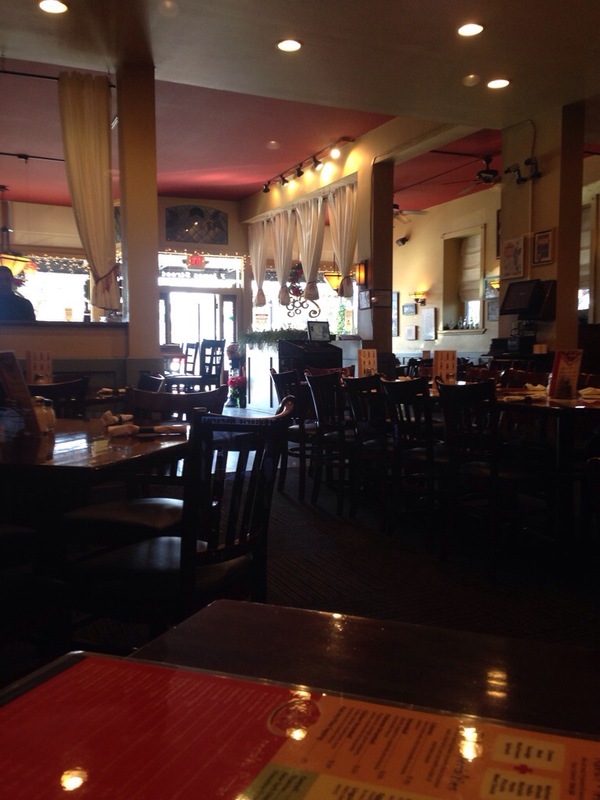 We arrived a couple of minutes early for the new time and the restaurant was fairly empty. They appear to do quite a lunch business and the choices are multitudinous. 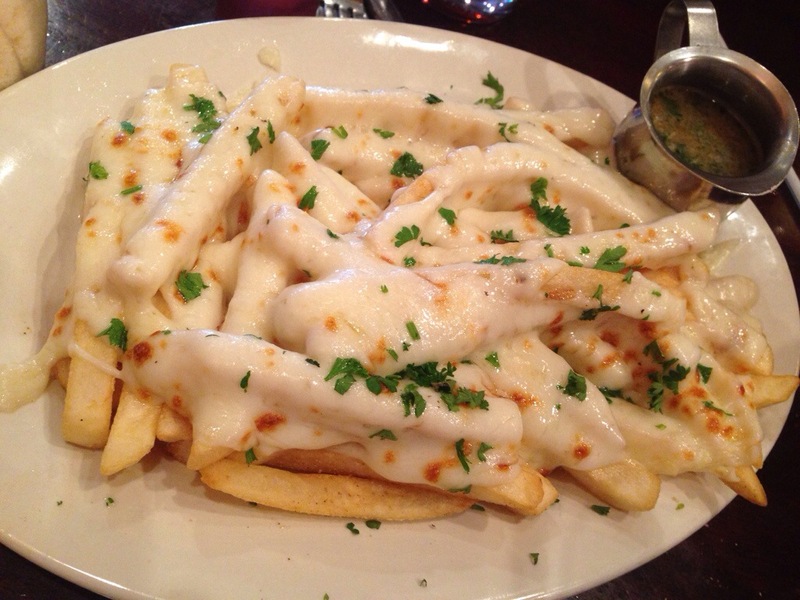 After waiting for the first 15 minutes or so for our dining companions, I ordered the french fries with cheese sauce and brown gravy. The dish resembled poutine in description, but was not quite the same because of cheese sauce versus cheese curds and the thinness of the brown gravy. When it arrived at the table, just after the folks we were dining with did, it was absolutely excellent. The gravy added a great element – it was like the thin gravy you get with a pot roast. 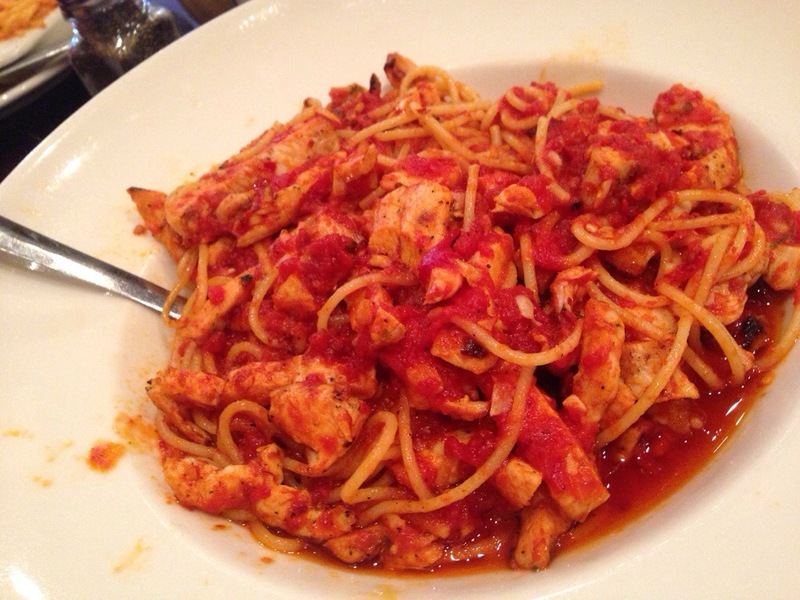 I chose the chicken fra Diavlo (which wasn’t actually on the menu). I had assumed that I has missed it, but it wasn’t there. They had shrimp fra Diavlo, but when I ordered chicken fra Diavlo, the only way I could order it was to order the shrimp dish and substitute chicken for the shrimp. It seemed somewhat odd but the server gladly complied. It was very spicy, in a good way, but the grilled chicken was burned in just enough spots to ruin the overall “joy” of the dish, but it was edible, although I ate only a third. The person next to me had the house stromboli which looked excellent – and he said that it was. About halfway through the meal I wish that I had ordered that instead. The portions were all large, and everyone that wanted to take leftovers home (I wasn’t in that camp) took about half of their meal with them. I’m assuming that my sub-par experience is below their norm, because they wouldn’t have been able to stay open for more than six years if everyone’s entree experience mirrored mine.